You are here: Home / Misc. / Book Club/Book Reviews / Book Review; Never Stop. 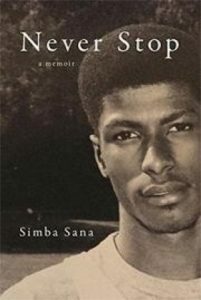 (ThyBlackMan.com) It would be easy to categorize “Never Stop” as a postmodern Horatio Alger novel set in an urban community. This memoir has all the ingredients of a rag to riches story. But such a reading has the potential to render all of the pain, failure, and life lessons chronicled throughout its 260 pages invisible. This isn’t fiction. Each shattered life and every violent death can be traced to an easily locatable time in place in our not too distant past.